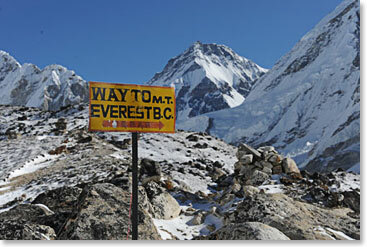 Father and daughter team Rich and Bonnie Alessio are headed Nepal to explore the Khumbu on an Everest Base Camp Trek. Along the way to Base Camp Rich and Bonnie will pass by old monasteries, stay in beautiful tea lodges, and stand in awe at the world’s tallest mountains. Before arriving at Base Camp they plan to attempt to reach the summit of 5600m/18,373ft high Kala Pattar, with its commanding views of Everest’s summit and the Khumbu Icefall. Follow along on our daily dispatches as these two adventurers from Alberta Canada embark on a journey to one of the most celebrated places in the climbing world, Everest Base Camp. October 8, 2014 – We Made It! October 3, 2014 – Everest Base Camp, We Made it! October 2, 2014 – Made it to Kala Patar in Great Style! September 29, 2014 – Amazing Views – Pictures Don’t Do Them Justice! September 28, 2014 – Berg Adventures Guides are REAL Guides!